Every month, Rich Zeoli honors a different deserving officer, nominated by the FOP Lodge 5. 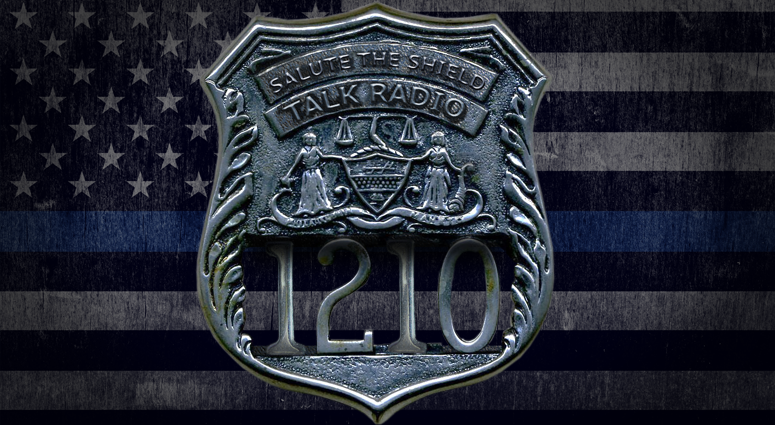 Listen to Rich the first week of the month for 1210 WPHT Salutes The Shield for the heroic stories from the men and women in uniform. My name is Police Officer Stephanie Velazquez #3884. I grew up in the City of Philadelphia (West Philly Section). I attended Morton McMichael Elementary School and then University City High School as well Villanova University. I graduated from the Police Academy May 1990. After graduating from the Police Academy I was assigned to the Center City District on foot patrol for 1 year. I was then transferred and assigned to the 6th Police District where I spent 8 years as a patrol officer, (VAO) Victim Assistance Officer and (CPO) Crime Prevention Officer and overseer of the (YAP) Youth Aid Panel for first time juvenile offenders. My current assignment, (CRU) Community Relations Unit where I assist with monthly Commendation Ceremonies, Police & Fire Living Flame Memorial Service, Hero Scholarship Thrill Show, conducting Safety Education Programs for kids up to senior citizens. I also instruct/teach the Curriculum (DARE) Drug Abuse Resistance Education and (GREAT) Gang Resistance Education and Training Programs in the Philadelphia Archdiocesan, Private, Public and Charter Schools all throughout the city 4 days a week. The children I teach are elementary and middle school students in grades 4th to 8th. I teach 4 to 6 classes a day for 45mins each. I am also Site Leader for our Summer Program GREAT camp at Lighthouse Recreation Center located at Howard & Somerset Street. We have approximately 120 children from various/diverse ethnic and cultural backgrounds. I've always wanted to be a police officer since I was 9 years old. My god-father Claude Barnes, a retired Philadelphia Police Officer was instrumental and influenced my decision on entering the profession of law enforcement. He was a Community Relations Officer for the 12th Police District and very involved with the community he served along with his duties as Pastor, now Bishop of our Church. I wanted to do the same, deter crime, helping to impact others in a positive way, mentor/enriched the minds of the youth. I am married 26 years and the mother of one, 21 year old daughter who will be entering her senior year of college in the fall. She is definitely a part of my heart that completes me and makes me whole. I enjoy being my daughter's role model, the one she loves, admires and respects. There is no greater feeling knowing your child is the best version/replica of you yet her own person. As everyone who meets her say, she is your twin, your mini you. One of my biggest accomplishments during my police career, is being selected to train and be part of (IIR) Institute for Intergovernmental Research as (ITT) International Team Trainer for the GREAT Program 10 years so far. I travel all over the United States and have the opportunity to travel abroad to Central America training other law enforcement agencies to become GREAT instructors in the classrooms. I feel very blessed/fortunate to be in a position to train others and place my footprints in the many places I have had the pleasure of visiting. Two years ago along with my retired partner Wendy McGrody, we started the Officer Vince Volker College Scholarship Award. The award is for a Lighthouse Rec. Center employee who was a former camper and now a full time college student. It is truly an honor for me to keep Vince's memory alive. Police Officer Kevin Devlin grew up in Northeast Philadelphia. He attended Archbishop Ryan High School. He graduated from the Police Academy in April of 1999. After graduation, Officer Devlin was assigned to the Center City District, 16th District & Narcotics Task Force. He currently is assigned to the Highway Patrol Unit. Roslyn (Roz) Talley is an 11-year-veteran with the Philadelphia Police Department. Currently, she is an instructor at the Police Training Facility. Officer Talley attended the Philadelphia Police Academy in September of 2007. Upon her graduation in April 2008, she was assigned to the 35th Police District. Since becoming a police officer, Officer Talley has used her position as a platform to be a blessing to so many. In 2011, she started a program for children with special needs called Widener heroes for the Widener Memorial School. This program allowed Police Officers to adopt children with special needs for Christmas. In 2012, Police officer Talley became the community relations officer for the 35th Police district. This was one of her favorite positions. She attended the meetings, quickly building relationships and worked hard to bridge the gap. She answered calls and ran to resolve problems as quickly as she could to de-escalate issues. She put together functions for children to play against police office officers in basketball or any other sport at a local recreation center. Her goal was to give a platform for police and community dialogue. It was during that time as a community relations officer, that former Deputy Commissioner Kevin Bethel reached out to her and asked her to work directly for him. In 2013, Officer Talley, put together a team for the Susan G. Komen organization, called Pink Cuffs raising over $15,000. In the same year, she started a 6-day event where she would go around to various areas of the city providing safety information for senior citizens in August bringing in important agencies to assist the elderly community. That same year, she linked up with the Ronald McDonald House and managed to get the department to raise over $26,000 of their $40,000 goal by wearing red and white socks. In 2014, Officer Talley connected with Mason Wartman of Rosa’s Pizza and provided clothes and toiletries to the homeless. All of the programs that are mentioned are now annual. Officer Talley has received many awards for her leadership and love for the community. To date, she teaches and manages to continue to stay connected with the community. She loves working with the Police Recruits. Last year, she hosted a prom dress giveaway and is currently planning for another one this. Her latest project is working with her team of police officer volunteers to create a prom for kids with special needs. There are many other events and programs that she is responsible but not mentioned, she just has a love for people. Officer Talley is a graduate of Chestnut Hill College and is attending West Chester for her Master of Arts in Communications. She is a new member of Pennsylvania Association of Black Journalists and the National Association of Black Journalist. She is currently a co-host on PQRadio1.com on Monday evenings from 5-7pm. Roz is a mother of two handsome sons, a beautiful daughter who has special needs, and a grandmother of two. She loves family, teaching, dancing, reading and she has a huge love for writing. Police Officer Joseph Hansbury grew up in Northeast Philadelphia where he attended Frankford High School. Officer Hansbury graduated from the Police Academy in August 1996. After graduation Officer Hansbury was assigned to the 8th District where his is currently serves as the Community relations officer. In 2002 Officer Hansbury founded the Philadelphia Police and Fire football club, The Blue Flames. Since then the Blue Flames has given hundreds of thousand dollars to raised organizing youth football camps to fallen officers and firefighters widows fund and many more. For more information please visit www.blueflamefootball.com.